Occlusion devices are popularly used in cardiology for correcting the conditions caused by obstructions of blood flow in coronary artery. These medical devices have emerged as a more effective option than anticoagulation therapy in treating the strokes caused by atrial fibrillation. For instance, of late, the market is witnessing promising avenues from the marked therapeutic efficacy of occlusion devices to reduce the risk of embolic stroke caused by left atrial appendage (LAA). The devices form a key element of the interventional strategy for the closure of the LAA. Several factors underpin their rising popularity over anticoagulation. They are considered safe, effective, and are cost-effective. The growing contraindication for oral anticoagulation is also boosting the market. The rising risk of ischemic stroke from LAA in various parts of the world is bolstering the demand for cardiac occlusion devices. Several clinical studies aimed toward evaluating the safety and efficacy of occlusion devices for LAA occlusion augur well for the overall market. Cardiac occlusion devices have reduced the risk of open surgery in many patients. Another attractive avenue in the application of occlusion devices is in the treatment of congenital heart defects. They are being widely used in persistent ductus arteriosus closure procedures for different types and sizes. Innovations in materials used for making these devices are constantly expanding the prospects of the market. For instance, the use of alloys renders marked performance benefits to occlusion devices. 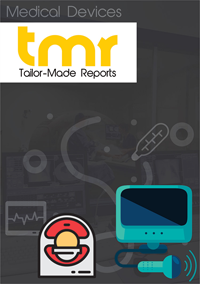 The rising demand for occlusion devices in interventional neurology is another significant factor propelling the growth of the market. This is attributed to the rising demand for minimally-invasive, image-guided procedures in various medical specialties, including cardiology and neurology, world over. The presence of favorable reimbursement scenarios for these surgeries and implantations is supporting the rapid expansion of the occlusion devices market in numerous developing and developed countries. Complete or partial obstruction of blood flow in a coronary artery leads to coronary occlusion. In some cases it leads to mild discomfort or pain in patients coronary. However, in some cases muscle tissue of the heart called myocardium can be damaged. To treat such conditions, occlusion devices are used. Besides cardiology, they also find application in neurology, peripheral vascular diseases, cardiology, oncology, urology, and gynecology. End users driving the uptake of such products include diagnostic centers, hospitals, surgical centers, research laboratories and academic institutions, and ambulatory care centers. Numerous factors are serving to boost the uptake of occlusion devices market. Those include the rise in the number of target patients and continued progress in the quality of products vis-à-vis features and functionalities. Besides, favorable reimbursement policies for such minimally invasive procedures and mounting clinical evidence corroborating the efficiency and safety of such products is also playing a key role in catalyzing growth. Posing a challenge to the market, on the other hand, is the steep cost of products, tough regulatory norms and approval procedures, and inadequate number of highly-trained surgeons to carry out the procedures. Some of the top grossing occlusion devices in the market are occlusion removal devices, embolization devices, and support devices. Of them, the segment of occlusion removal devices is comprised of balloon occlusion devices, coil retrievers, stent retrievers, and suction and aspiration devices. Under embolization devices, key products are embolic coils, tubal occlusion devices, and liquid embolic agents. Again support devices include guidewires and microcatheters. There are opportunities abound in the neurological area for keen players in the global market for occlusion devices. This is because of the surging number of target neurosurgeries worldwide, increasing research in the domain of interventional neurology, cutting-edge research for product innovation by cash-rich manufacturers, and helpful reimbursement policies. Currently, hospitals and surgical and diagnostic centers are majorly stoking demand for occlusion devices. This is because of the increasing popularity of minimally invasive or image-guided procedures and better reimbursement facilities. A noticeable trend in the market is the usage of biomaterials in occlusion devices for handling cardiac defects. Design of the products plays a key role in their usage. From a regional perspective, North America, Asia Pacific, Europe, and the Rest of the World are key regions in the global market for occlusion devices. Among them, North America and Europe are prominent markets, reason being the numerous medical reimbursements available for cardiovascular procedures, rising popularity of minimally invasive surgical procedures which take faster time to heal and also reduce risks of complications, and presence of many original equipment manufacturers which has led to easy availability of occlusion devices. Some of the prominent participants in the global market for occlusion devices are Boston Scientific, Medtronic, Terumo, Stryker Corporation, Penumbra, Abbott, Cardinal Health, B. Braun, Asahi Intecc, C.R. Bard, Cook Group, Angiodynamics, and Acrostak. Such players are seen trying to grow their market shares through acquisition of smaller companies that not just enables them to diversify their product portfolio but increase geographical footprints. They are also banking upon long term contracts with hospitals and other healthcare centers to ensure steady uptake of their products.